Derailleur hanger GT bicycles. All models available online, if you can not find your model for your bike , please contact us. 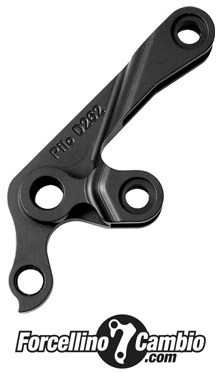 Derailleur hanger original GT Zaskar Carbon 29" left side 2001 - 2014 ATIDH0198. 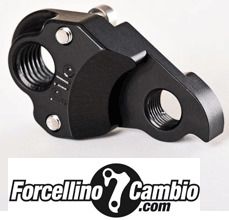 GT 12 mm derailleur hanger 6061 T651, made with CNC technology. Black anodized. Lighter and more durable than the hanger series. GT Aggressor 2002 - 2007 derailleur hanger 6061 T651, made with CNC technology. Black anodized. Lighter and more durable than the hanger series. 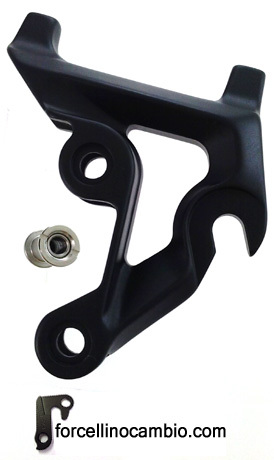 GT Aggressor 2013 derailleur hanger 6061 T651, made with CNC technology. Black anodized. Lighter and more durable than the hanger series. Derailleur hanger original GT bicycles GT ATIDH0238. 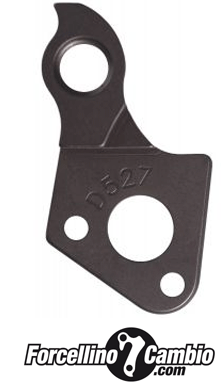 GT Avalanche derailleur hanger 6061 T651, made with CNC technology. Black anodized. Lighter and more durable than the hanger series. GT Avalanche 2001 - 2007 derailleur hanger 6061 T651, made with CNC technology. Black anodized. Lighter and more durable than the hanger series. 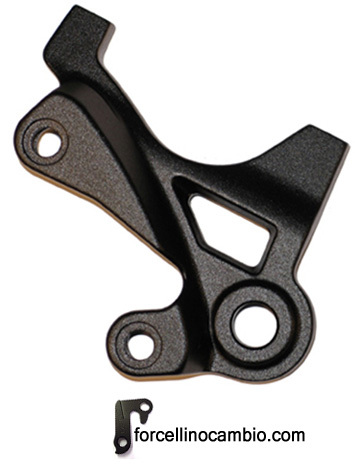 GT Backwoods 2000 - 2005 derailleur hanger 6061 T651, made with CNC technology. Black anodized. Lighter and more durable than the hanger series.